When we left the estate of James Madison, we happened to cross a bridge just as a freight train passed under it. Behind the train we could see the depot. We drove out to the main road and parked on the other side of the depot building. I've passed this building many times because when I lived in Northern Virginia, this was on my way to Charlottesville. I think I stopped and viewed the building once but that was before it was restored. 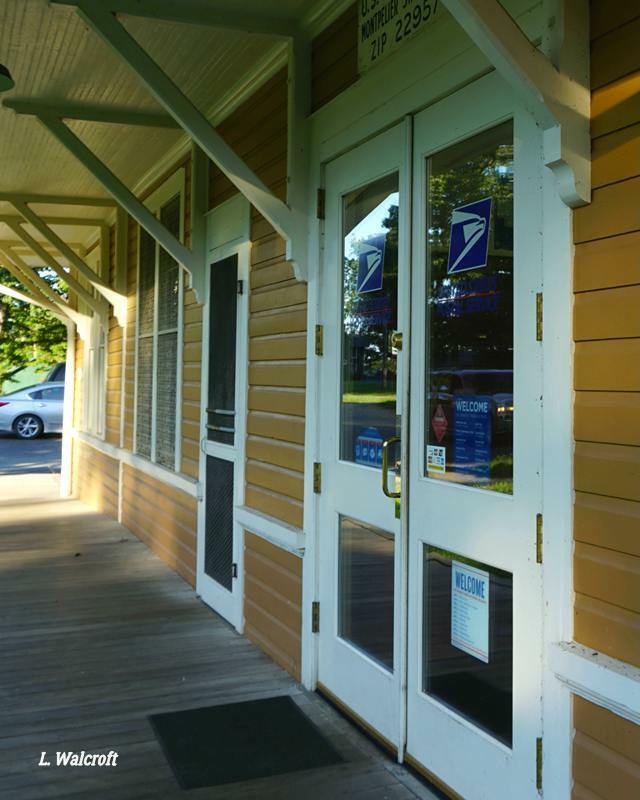 It is still in use as a post office, but there is also an exhibit at the end facing the parking lot. 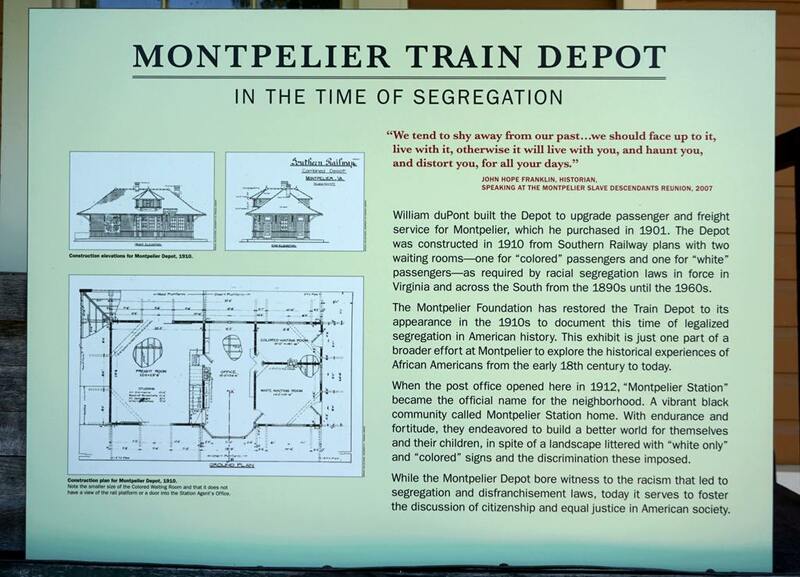 It shows the appearance of the station in the 1910's, when segregation was commonplace in Virginia. The separate doors for "White" and "Colored" have been preserved. "We tend to shy away from our past... we should face up to it, live with it, otherwise it will live with you, and haunt you, and distort you, for all your days." ~ John Hope Franklin, Historian. 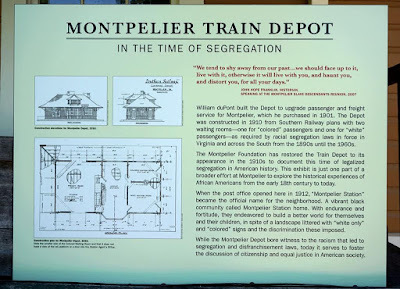 A tabletop sign by the tracks explains that this was a "Flag Stop" where the train only stopped if there were passengers or freight to get on or off. 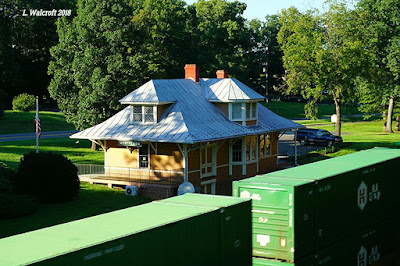 It also explains how the duPont family used the station to supply their large estate. They would order an entire carload of feed for their horses and have it unloaded here. At the other end of the parking lot is a Virginia Historical Marker. 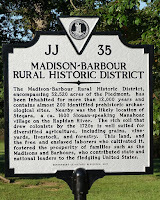 The Madison-Barbour Rural Historic District, encompassing 32,520 acres of the Piedmont, has been inhabited for more than 12,000 years and contains almost 200 identified prehistoric archaeological sites. Nearby was the likely location of Stegara, a ca. 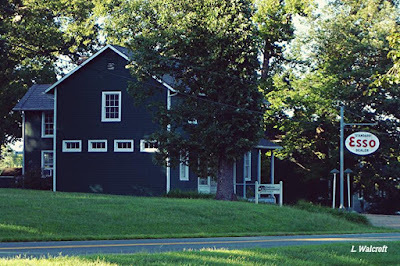 1600 Siouan-speaking Manahoac village on the Rapidan River. The rich soil that drew colonists by the 1720s is well suited for diversified agriculture, including grains, vineyards, livestock, and forestry. 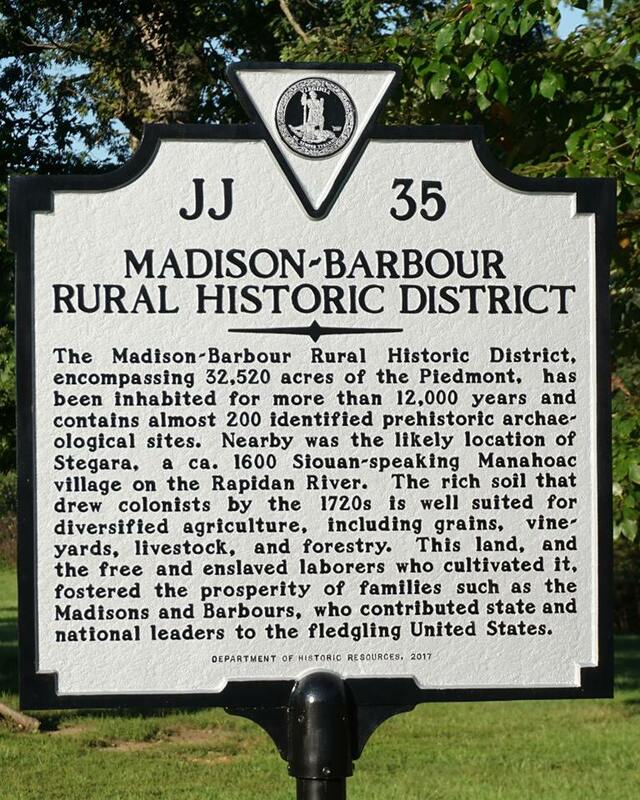 This land, and the free and enslaved laborers who cultivated it, fostered the prosperity of families such as the Madisons and Barbours, who contributed state and national leaders to the fledgling United States. Across the road (SR 20) is this building that still has a sign for Esso gas. 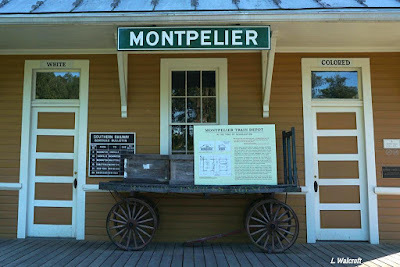 I remember when this building was the Visitors Center and Gift Shop for the Montpelier estate. See a list of interpretive signs at Montpelier Station on HMDB. ...train stations all share a common design and this one is beautiful. I'd love to have that ESSO sign out by my barn. Thanks Linda s=for stopping by, enjoy. 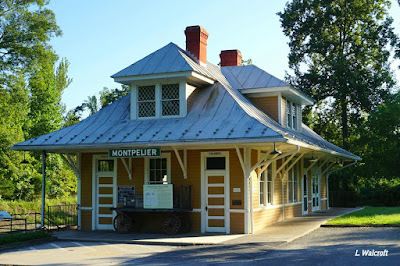 Hello, it is a cute train station. I like the old Esso sign. Enjoy your day! Love this area and fine train station. Last time I visited Madison's estate was at Christmas time a few years back. The station is such a pretty building.